Bringing together some 60 paintings drawn from collections around the world, Cézanne Portraits is the first exhibition devoted exclusively to this often-neglected genre of his work. 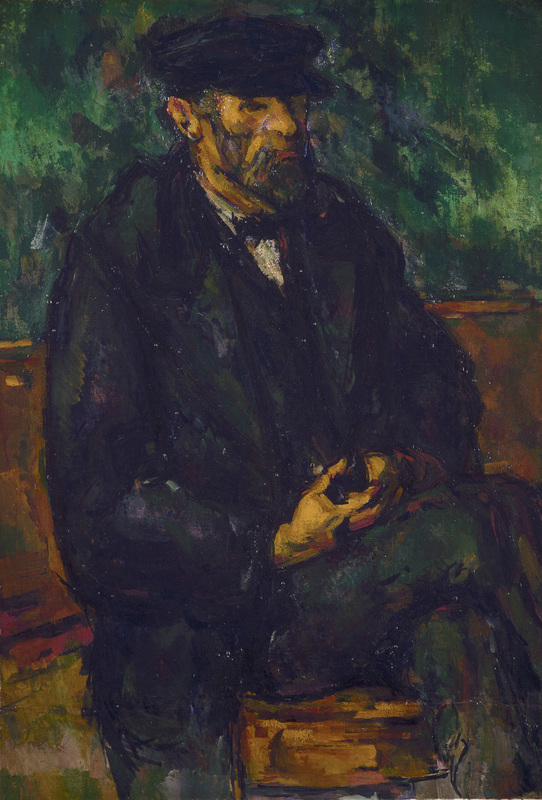 The revelatory exhibition explores the pictorial and thematic characteristics of Paul Cézanne's (1839–1906) portraits, the chronological development of his style and method, and the range and influence of his sitters. The sole American venue, Cézanne Portraits will be on view on the main floor of the West Building from March 25 through July 1, 2018. 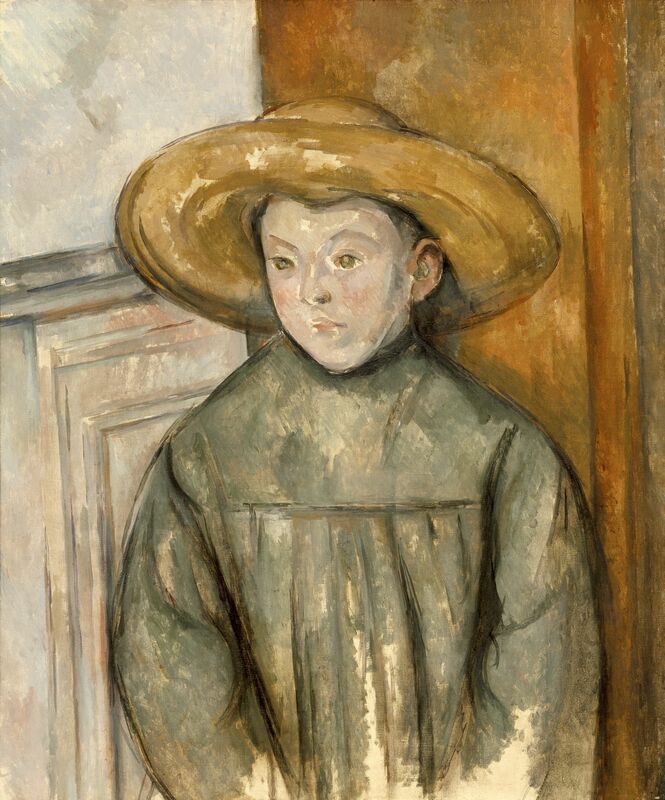 "This exhibition provides an unrivaled opportunity to reveal the extent and depth of Cézanne's achievement in portraiture," said Earl A. Powell III, director, National Gallery of Art. "The partnership between the National Gallery of Art, the National Portrait Gallery in London, and the Musée d'Orsay in Paris has made it possible to explore his working techniques as well as his intellectual solutions to representation in these exceptional portraits." 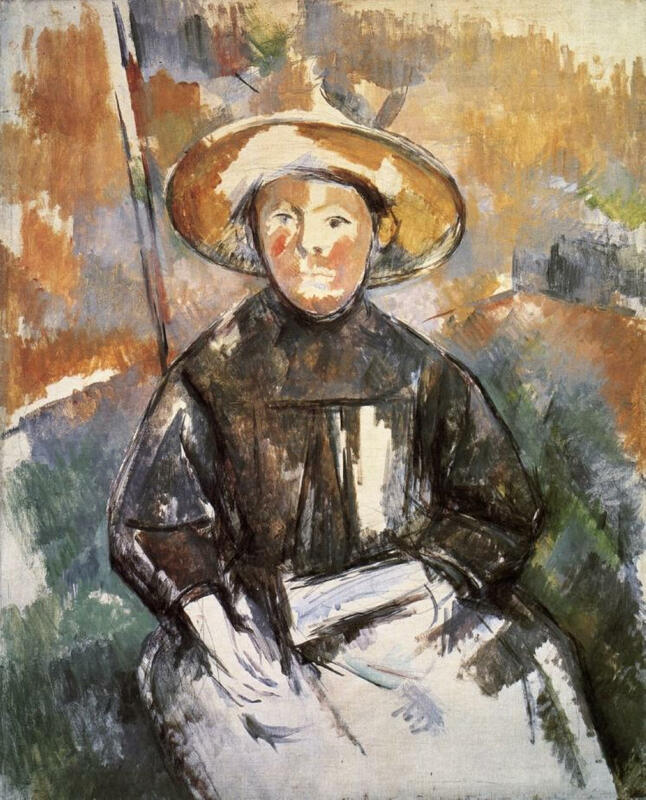 Cézanne painted almost 200 portraits, including 26 self-portraits and nearly 30 portraits of his wife, Hortense Fiquet, as well as portraits of his son Paul and his uncle Dominique Aubert, art dealer Ambroise Vollard, critic Gustave Geffroy, and the local men and women in his native Aix-en-Provence. The exhibition presents a selection of portraits that reveals the most personal and human aspects of Cézanne's art. The exhibition is organized by the National Gallery of Art, Washington, the National Portrait Gallery, London, and the Musée d'Orsay, Paris. 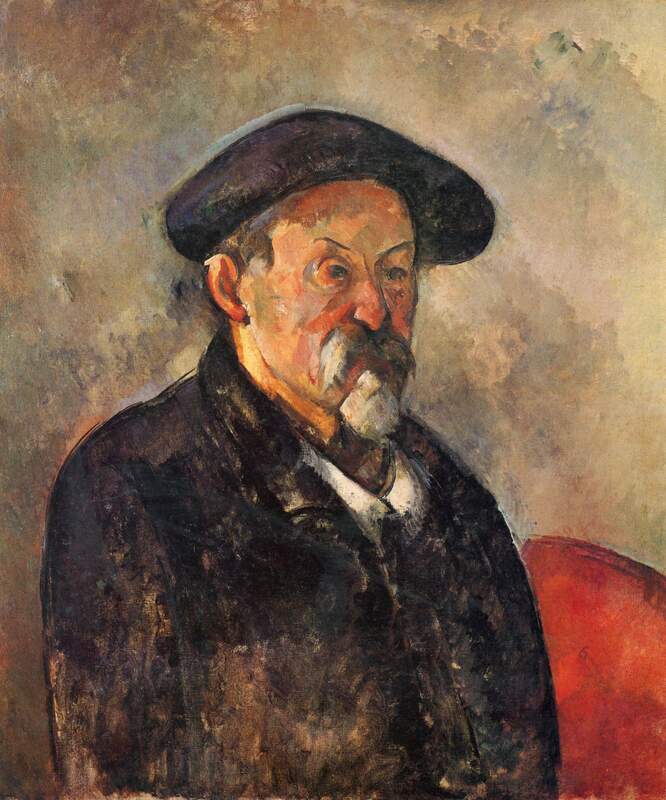 Cézanne Portraits explores the artist's series of portraits of the same sitter; traces his portraits chronologically, revealing changes in style and method; and shows the full range of his sitters and how they influenced his practice. 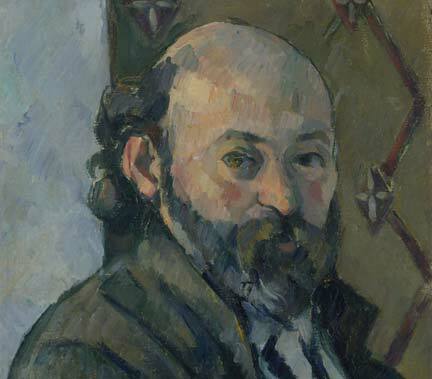 Cézanne's unique vision was informed by a desire to see through appearances to the underlying structure using mass, line, and shimmering color. The exhibition traces the development of Cézanne's portraits and the changes that occurred through style and method and the understanding of resemblance and identity. 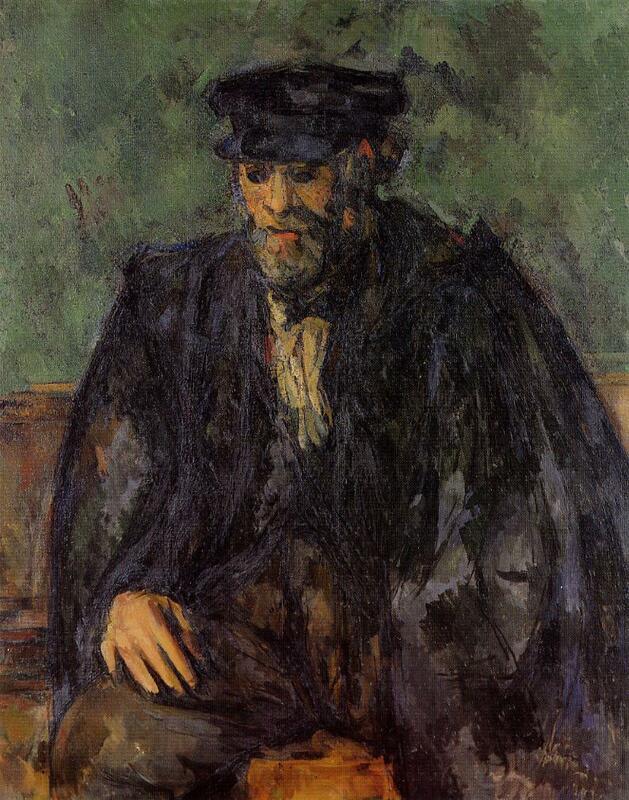 Cézanne made his first portrait in the early 1860s, although it was not until 1866 that he began to paint portraits in earnest. Often painting family and friends with whom he felt comfortable, his early works were stylistically influenced by Gustave Courbet's and Édouard Manet's Parisian portraits. The family paintings include large portraits of his father, small paintings of his mother and sisters, and about nine portraits of his uncle, the bailiff Dominique Aubert, and provocative paintings of poet and art critic Antony Valabrègue and the artist Achille Emperaire. 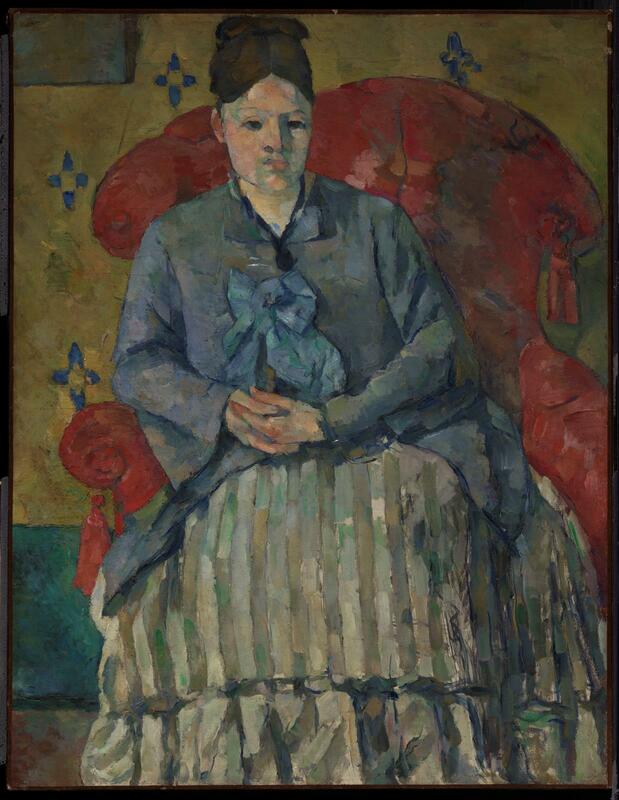 Madame Cézanne in a Red Armchair (c. 1877), on view in the exhibition. 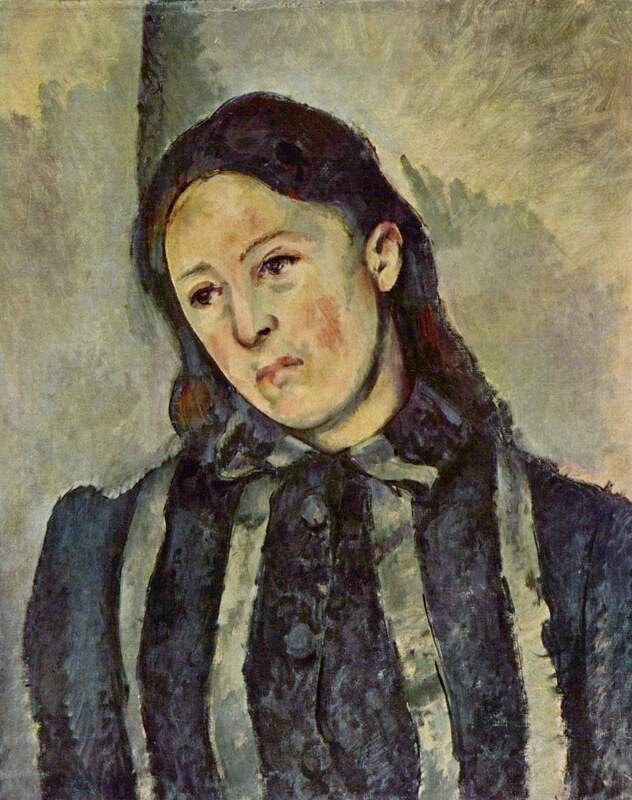 Between 1872 and 1892 Cézanne painted 28 portraits of his wife. Seventeen of these, painted during the second half of the 1880s, form three distinct stylistic groups. The first group, a set of small, lightly painted canvases, were painted around 1886 and includes the most expressive images of her made to date, marking a major shift in his portraiture practice. The second group, made a few years later, is more explicit in its description of emotion and more heavily painted. The third group of four portraits depicts Hortense wearing a red dress. Fifteen of these portraits will be on view. 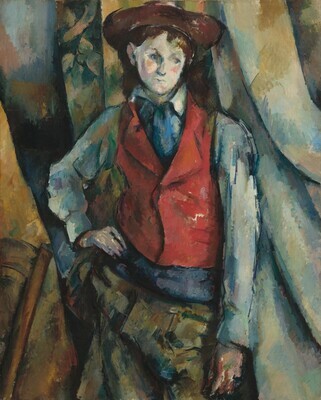 Boy in a Red Waistcoat (1888–1890), is the largest, most resolved of these portraits. 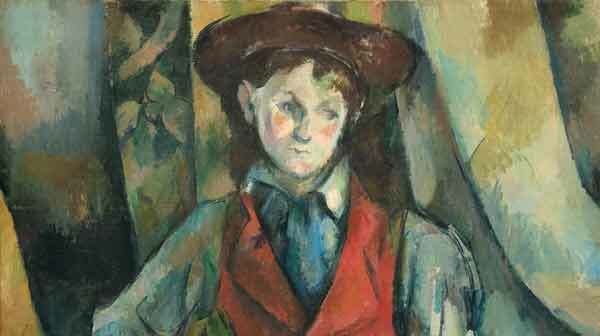 Influenced by 16th-century mannerists such as Bronzino and Pontormo who painted iconic images of urban, male adolescents, Cézanne presents a moving, formally innovative image of a boy morphing into manhood. 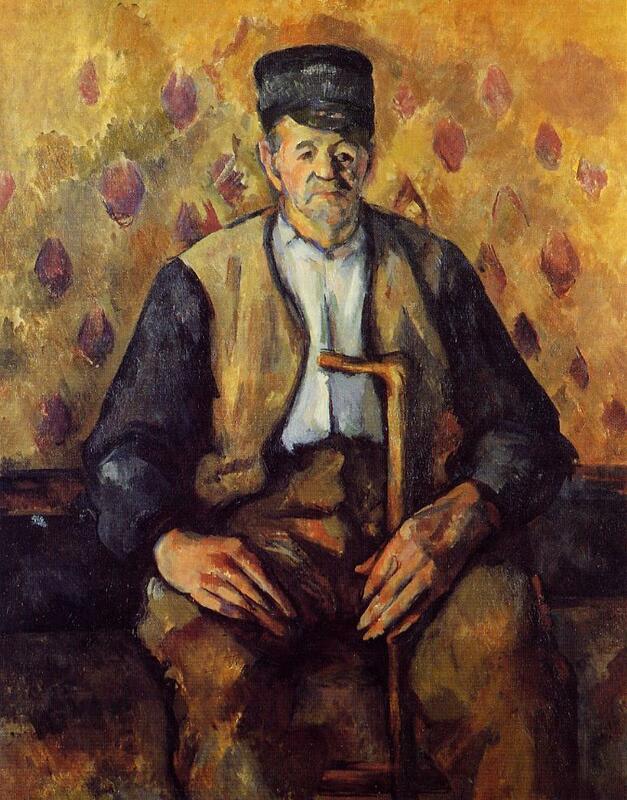 and Seated Peasant (c. 1900–1904), all of which are in the exhibition. 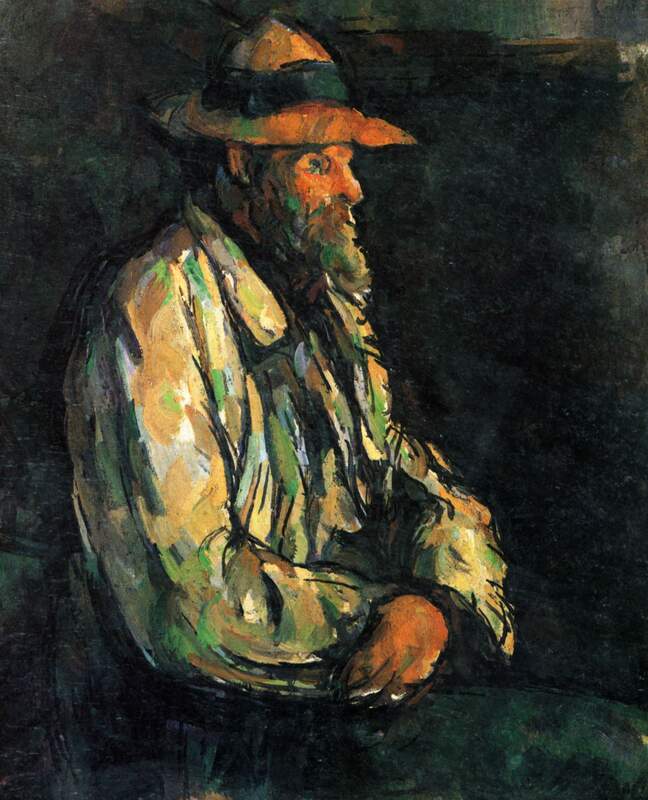 Of the 100 paintings Cézanne made between 1900 and 1906, only about 20 are portraits, seven of which were painted outside. and five paintings of his gardener, Vallier, three of which are on view. The exhibition is curated by John Elderfield, chief curator emeritus of painting and sculpture at the Museum of Modern Art, New York, with Mary Morton, curator and head of the department of French paintings at the National Gallery of Art, Washington, and Xavier Rey, formerly director of collections at the Musée d'Orsay, now director of the museums of Marseille. The exhibition is accompanied by a 256-page, fully illustrated catalog with essays by the exhibition curators—John Elderfield, chief curator emeritus of painting and sculpture at the Museum of Modern Art, New York, with Mary Morton, curator and head of the department of French paintings at the National Gallery of Art, Washington, and Xavier Rey, director of the museums of Marseille. Also included are a biographical essay on Cézanne's sitters by biographer Alex Danchev and a chronology of the artist's life by Jayne Warman. 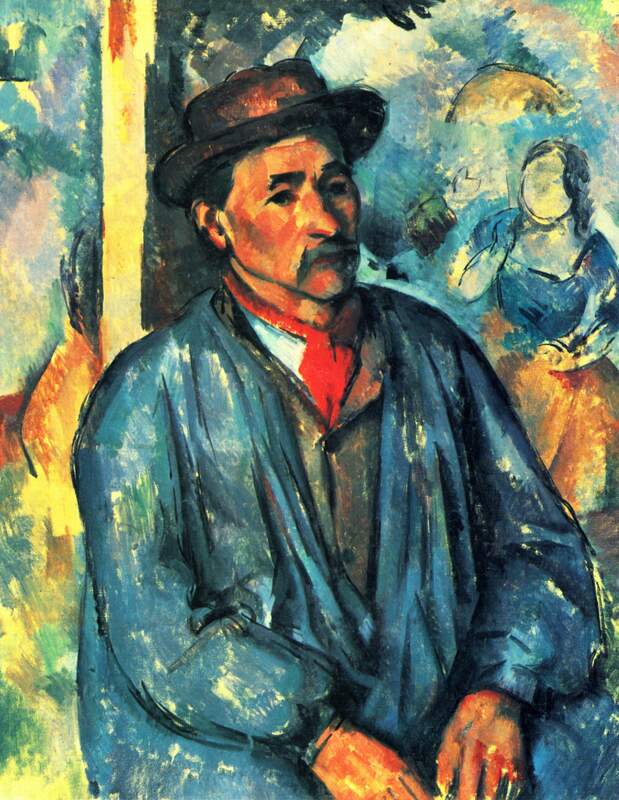 This catalog establishes portraiture as an essential practice for Cézanne, from his earliest self-portraits in the 1860s to his famous depictions of figures including his wife Hortense Fiquet, the writer Émile Zola, and the art dealer Ambroise Vollard, and concluding with a poignant series of portraits of his gardener Vallier, made shortly before Cézanne's death. Featured essays explore the special pictorial and thematic characteristics of Cézanne's portraits and address the artist's creation of complementary pairs and multiple versions of the same subject, as well as the role of self-portraiture for Cézanne. They investigate the chronological evolution of his portrait work, with an examination of the changes that occurred within his artistic style and method, and in his understanding of resemblance and identity. They also consider the extent to which particular sitters influenced the characteristics and development of Cézanne's practice. Beautifully illustrated with works of art drawn from public and private collections around the world, Cézanne Portraits presents an astonishingly broad range of images that reveals the most personal and human qualities of this remarkable artist.